I love watching really memorable performances... whether they're on a stage, television, or the silver screen. So it only makes sense that as I watched tennis star Serena Williams slam her way to a 5th US Open Championship yesterday, I was completely captivated by her performance as well. She is, after all, a fascinating character. Here is an athlete with the talent and the nerve to win. Otherwise, how could she hit a ball at 126 mph in a stadium filled with 22,000 people while press cameras click during every breath of silence, and television cameras broadcast every thought to households across America, all while a constant gust of wind threatens to blow the ball out of bounds at any given moment!? They don't call them "nerves of steel" for nothing. But what about the quieter moments? 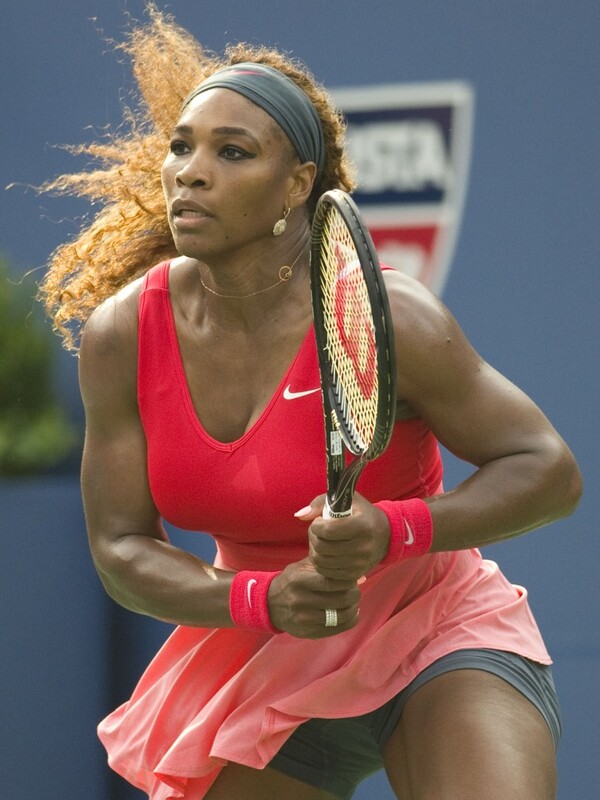 Sure Serena has the guts, the hot temper, the huge legs that could snap me like a twig, but what about the focus? Especially in tennis, where your only opponents are the person on the other side of the court and your own brain, it simply isn't enough to go out on the court and hit the ball really hard. After getting visibly annoyed by weather conditions, late calls, and consistent winners from her opponent, there was a point at the end of the first set yesterday when Serena got downright angry. And then, as easily as the anger came, it went. She focused as tightly as a laser beam. What is it that allows a player like her to turn a match around, drive to the finish line, and suddenly not think about anything other than what she has to do to win? As I see it, passion is the fist pumping, the grunts, the sprints, the spotlight. It's what makes a fierce competitor. But focus is something else in spite of passion. It's the spirit of a champion. It's what leads a person to say not only, "This is what I want to do," but "This is what I'm going to do." It's the kind of spirit that I strive for. We can't all win the US Open. We don't all have the ability. But I do believe we can all be champions. We can find something we're passionate about, and focus so completely that not even Hurricane Serena can distract us. So while Wonder Woman Williams walked away yesterday with a shiny cup and a truck load of money, I at least sat on my couch with a new perspective. And for that, I thank you, Serena Williams. Thank you for being a champion, and for doing it with the kind of fire that allows us all to see it so brightly. Thank you for this article Jeff! I love the perspective you choose to bestow upon the world; it's absolutely beautiful. Thanks for sharing!